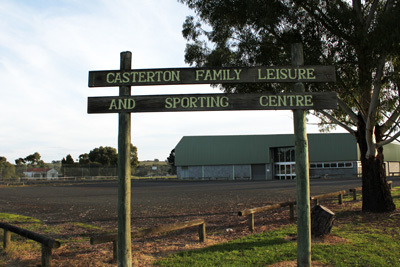 Casterton offers the community a variety of leisure and recreation venues. The Casterton Community is committed to providing leisure opportunities to residents and visitors through programs, special events, facilities, parks and trails while supporting community partnerships and volunteers. In doing so, it is Castertons’s goal to enhance quality of life and encourage the community to develop a healthy and active lifestyle. The picturesque Ess Lagoon offers a tranquil picnic and fishing area and is regularly stocked with trout (A comprehensive Fishing Guide available at Casterton Visitor Information Centre). The Railway Reserve features a railway-themed playground and shady rotunda. Apex Park, next to the Visitor Information Centre is a popular BBQ stop. Both Bryan Park near the hospital and the Lions Memorial Park, near the Jack Gleeson statue on the riverbank have fun playgrounds for the kids. 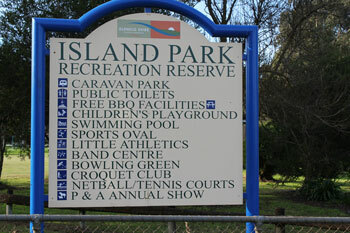 Island Park Recreation Reserve offers a full range of sporting facilities including a Caravan Park, BBQ, playground, Olympic swimming pool, bowling club, croquet lawn, tennis courts and sports ovals. A modern Skate Park is located opposite Island Park. Casterton Racecourse is located at Racecourse Float Road. Casterton Racecourse is operated by the Casterton Racing Club, and is the only racing venue in the shire. 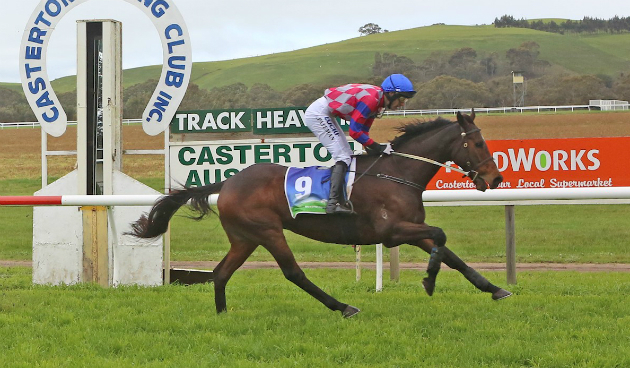 The Casterton Racecourse itself is set in a natural amphitheatre with rolling hills all around and boundaries of local rivers it would rate highly as the most picturesque club around. 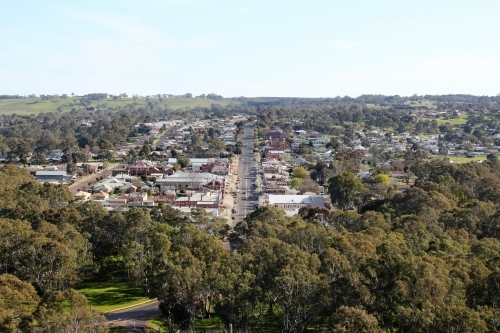 High above the town centre, Casterton’s Mickle Lookout offers magnificent views. The view back to the lookout from the main street is also interesting, especially at night, when the huge ‘Fleur De Lys’ emblem is illuminated. Carved into the hill overlooking Casterton by Boy Scouts in 1935, using semaphore as a guide, the symbol is a stylised version of the official Scout Badge, the Fleur de Lys. The emblem is 91.5m (300ft) in circumference. The Island Park Reserve offers over 17ha of facilities with two ovals, swimming pool, netball & tennis courts, bowling green, croquet, band centre and caravan park to name a few. Located on the banks of the Glenelg River surrounded by red gums this sporting and recreation facility is home to over 14 local sporting and community groups. 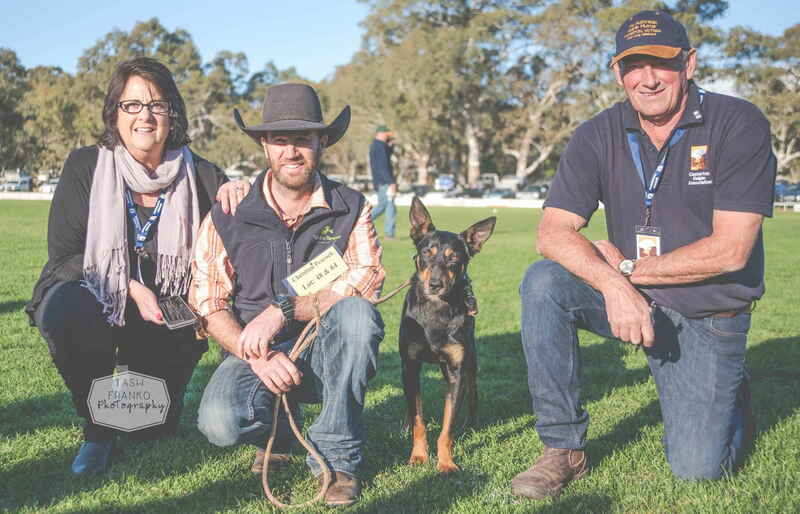 Island Park is the ‘Home of the Cats’ (Casterton Sandford Football & Netball Club) and the site for the internationally renowned Australian Premier Working Dog Auction and is also home to the only remaining Vice Regal Band in Australia. Located within the expansive ground of the Casterton Secondary College the stadium facility provides a full size Basketball Court, Squash Courts and amenities. Both the College and the community utilise this facility throughout the year, with both Junior and Senior Basketball competitions fiercely played during the season. For further information on club contacts please refer to ‘Community & Sporting Group’ register on this website. Casterton Golf Club presents an 18 hole course with grass greens, 19 bunkers and 3 dams. Water hazards and lateral water hazards come into play on several holes depending on conditions of season. The front nine is undulating while the back nine holes are flat. The most outstanding feature of the course is the flora: magnificent redgums, eucalypts, wattles and many other varieties of native plants that have been contributed by the members. 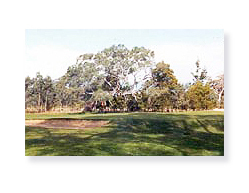 Established in 1924, the course has 120 acres of Red Gum country. Grass greens, watered, with flat to slightly undulating fairways. There are 19 bunkers on 11 holes. Visitors welcome and bookings are not necessary. 18 holes, Par 72, ACR 69, 5591 metres. Annual club tournaments are held in late April and mid-November.